Progress towards the 2011 directive has yet to additionally address the content expertise in the classroom. For instance, “93% of students in grades 5–8 are taught by teachers who have little or no training in the physical sciences, and as a result of this lack of background many teachers often lack confidence in their ability to conduct scientific inquiry” (Kafka et al, 2006). TX-ESP empowers educators to go beyond teaching students – it gives educators the skills to teach students to think, not memorize, “When educators limit their students’ learning opportunities to simply knowing and understanding content enough to score well on related assessments, many students will leave high school having learned only a small portion of what was possible” (Winebrenner, 2012). 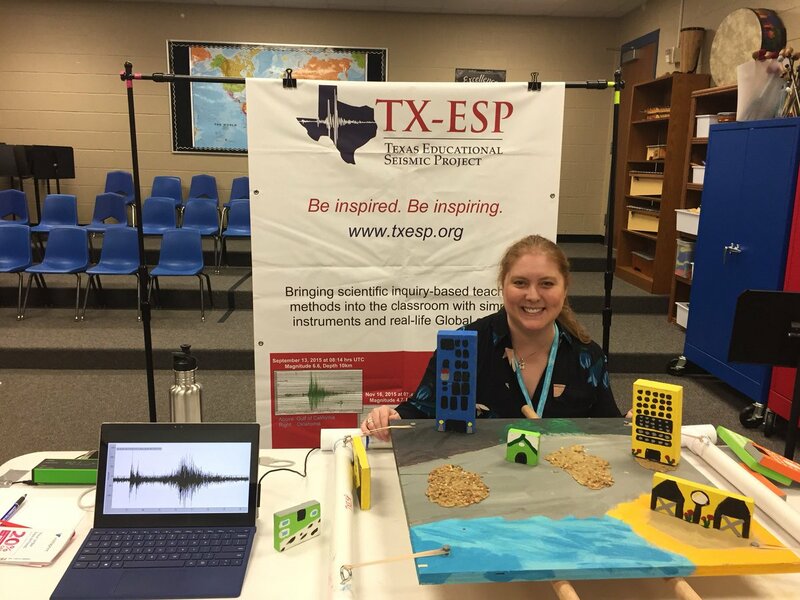 Texas Educational Seismic Project aligns with TEKS, for example, Sec. 112.36.10 (c) “explain how plate tectonics accounts for geologic processes and features, including sea floor spreading, ocean ridges and rift valleys, subduction zones, earthquakes, volcanoes, mountain ranges, hot spots, and hydrothermal vents;” (TEKS, 2010, 2011) Students will also be broadening their assessments skills as required by the standard core principles. Additionally, the curriculum and discussion materials are similar to Next Generation Science Standards’ (NGSS) inquiry-based methods which prepare students for future college classes and careers. “We must realize, however, that young people do not necessarily arrive in college ready to grasp what it means to conduct a scientific investigation” (Kafka and Rasmusson, 2003). TX-ESP enables students to learn to reframe traditional science lessons into a dialogue of scientific inquiries and new interdisciplinary questions.